Hans Rosenström, Shoreline, 2017. Photo credit Anders Sune Berg. 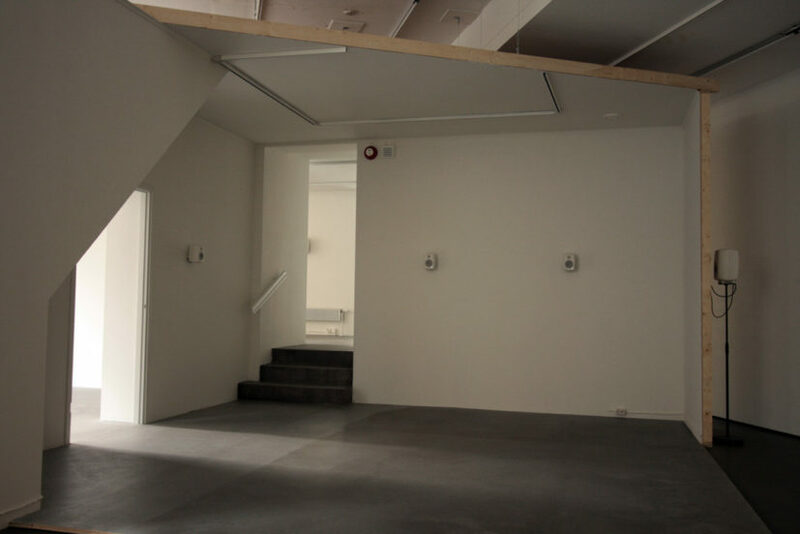 Hans Rosenström is a Finnish artist recognised internationally for his site-specific spatial installations using sound. His practice is an ongoing exploration into how we relate to each other as human beings. His poetic and poignant work has a special resonance in these turbulent times were similarities are ignored and differences played up and exploited by politicians and the media. Auditory perception makes us aware of our bodily presence in space and time. Listening to something is an ambiguous event, interpreted according to our individual memories, experience and imagination. In his installations and interventions Rosenström constructs narratives within spatial experiences in public and private domains. He creates intimate encounters that can change the perception of the moment and the individual occupation of it, questioning the relations between a subjective presence and the surrounding circumstances. 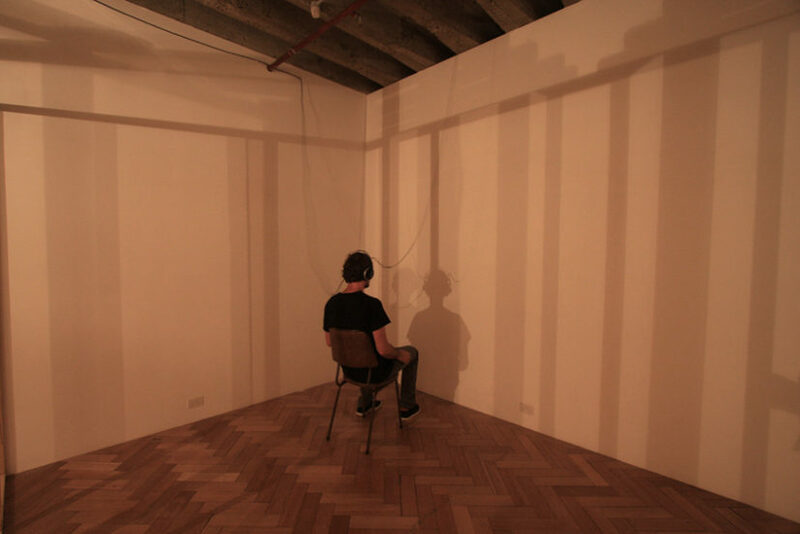 IN DEPENDENT STRUCTURES (2012/2014) is about presence, a situation where your senses are heightened and eventually – through the illusion of another person – you become aware of yourself and your body in the moment. Alone, you sit facing a wall, the lights dim, a voice whispers in your ear. The hairs rise on the back of your neck as you have the uncanny impression someone is moving behind you. Rosenström’s use of binaural recording techniques creates a 3-D stereo sound sensation for the listener to experience via headphones. Rosenström is interested in how our words enter each other via our ears and our experiences merge and intertwine. For him the viewer’s presence is essential in the creation of the artwork, since only once they are present can a psychological and physical experience within the specific moment and location exist. Rosenström invites the viewer to put down their phone and take time to observe and reflect. His work provokes an emotional response, addressing issues of isolation, group identity, privacy and voyeurism. 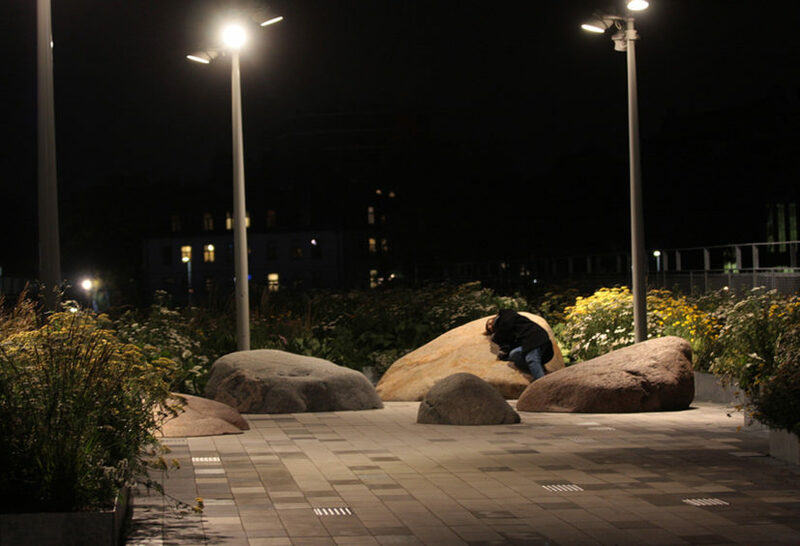 2066 (2016) is a permanent public sound installation in Värtapiren Harbour in Stockholm. It consists of a group of granite boulders large enough to lie down on. Set into three of them are metal plates; lay your head against one and you will hear voices vibrate through your skull. In this intimate way, you will listen to the reflections of a variety of professionals on what they imagine the world will look like in fifty years. Over the years, the recording will become a time-capsule of the preoccupations and anxieties of 2016. 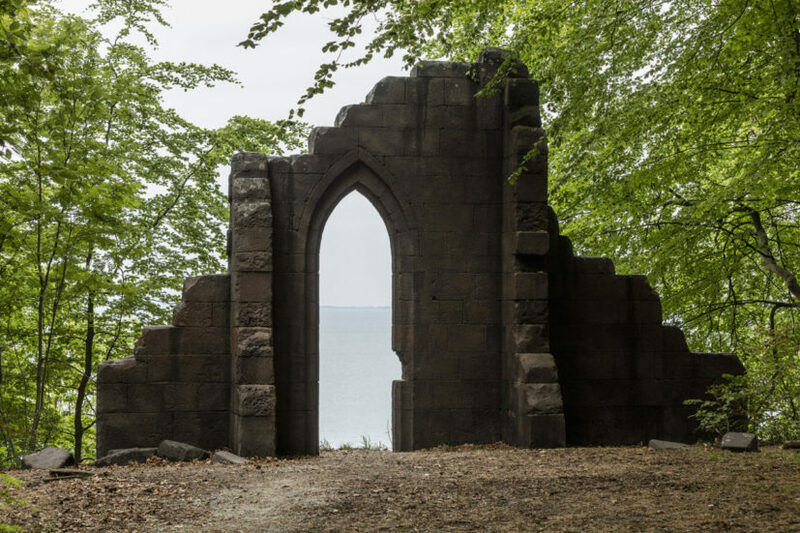 The future, as well as human’s relationship to nature, was the subject of Rosenström’s outdoor commission Shoreline at the ARoS Triennial in Århus, Denmark in June. Here he recreated the ruined Gothic arch from a lost Caspar David Friedrich painting Monastery Graveyard in the Snow, (1817/19). The painting is only known from a black and white reproduction as it was destroyed during a bombing raid on Berlin in 1945. Other works by Friedrich, who studied in Denmark, are on display in a nearby museum. As you approach the folly, a painted concrete structure that frames the view of the sea, your presence activates a sound track. Three disembodied voices overlap and intertwine, as they describe the collaborative behaviour of fungi and tree roots that interweave to create a network where single trees can share information and nutrients and encouraging diversity which makes the forest stronger. This is a beautiful allegory for our times. 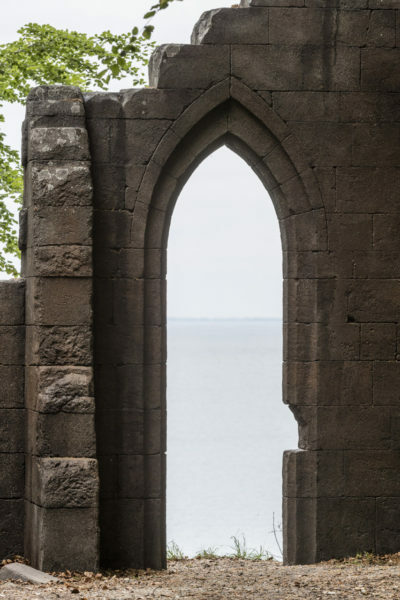 The shoreline becomes the division between the present of the land and the future represented by the sea, framed by the Romantic ruins of the past. 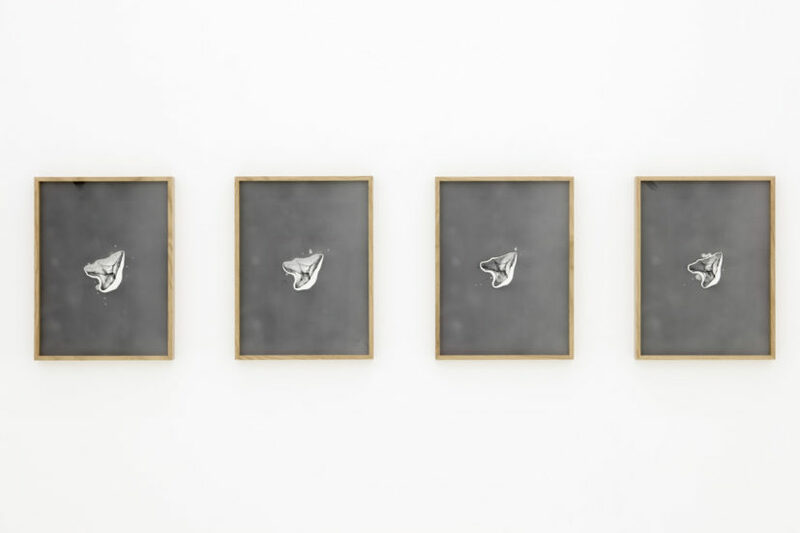 Time’s passing is also the leitmotif of the artist’s recent solo show at Helsinki Contemporary. It featured Jökulsárlón I and II a series of photograms created by exposing pieces of centuries old glacial ice on photographic paper until they melted away completely. 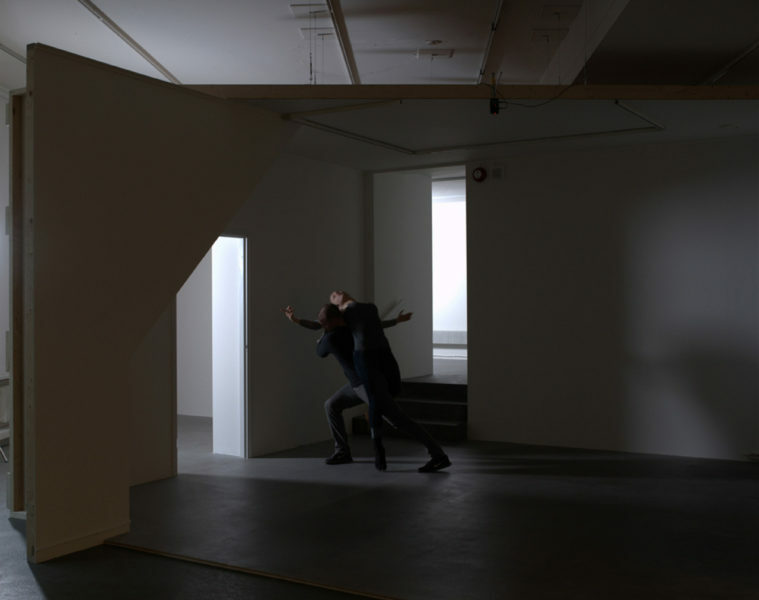 Rosenström often collaborates with writers, dancers and actors across multiple languages in his ongoing investigation into in the ways we, through language, voice and presence infiltrate and affect each other. 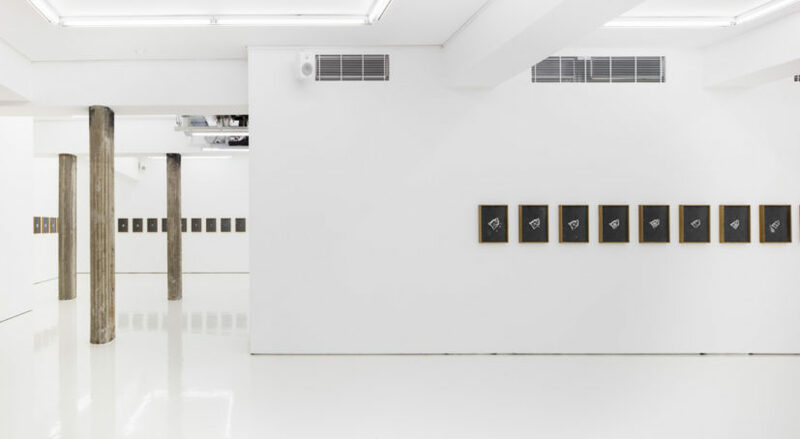 The House Divided: The One and The House Divided: The Other (2015) are installations initially commissioned by Pro Artibus Foundation in Finland, then transposed to Maria Stenfors Gallery in London in 2015. 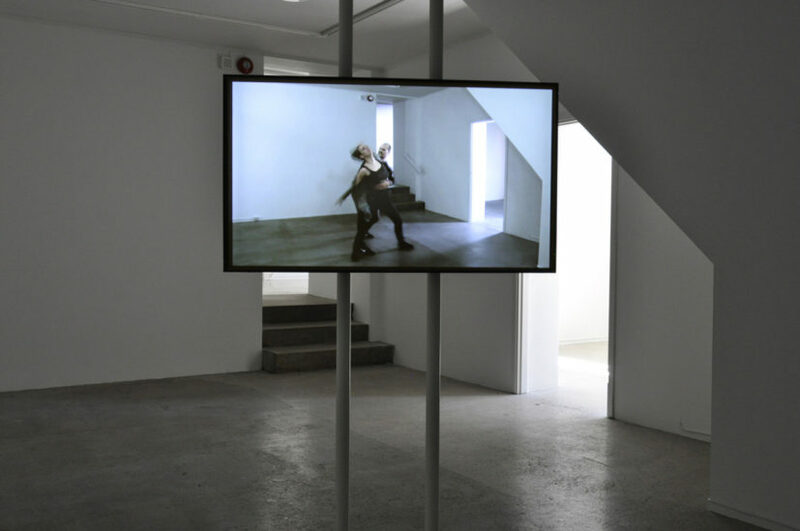 In the former, Rosenström collaborated with two dancers, who are filmed in the same location and from the same angle as the videos are displayed at. 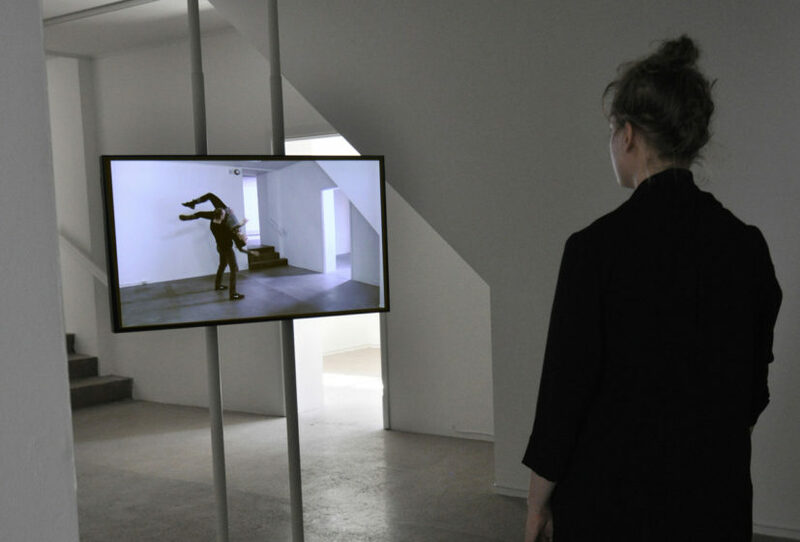 Through their movement from screen to screen the dancers lead the viewers through the rooms of the gallery. The choreography is built from a series of words, relating to human interactions, used as score or script that lead on one from the other. ‘How do language and rhetoric affect one another, how can they change the way we see or experience our surroundings?’ asks Rosenström. He argues that we are always alone in a space, trapped by our own perspective and imaginary which making it difficult to really connect with another person. The Other is a recording of a dialogue between a man and a woman. One initiates the conversation with ‘It’s the shell that keeps us apart’, to which the other replies: ‘It’s the shell that keeps me together’. 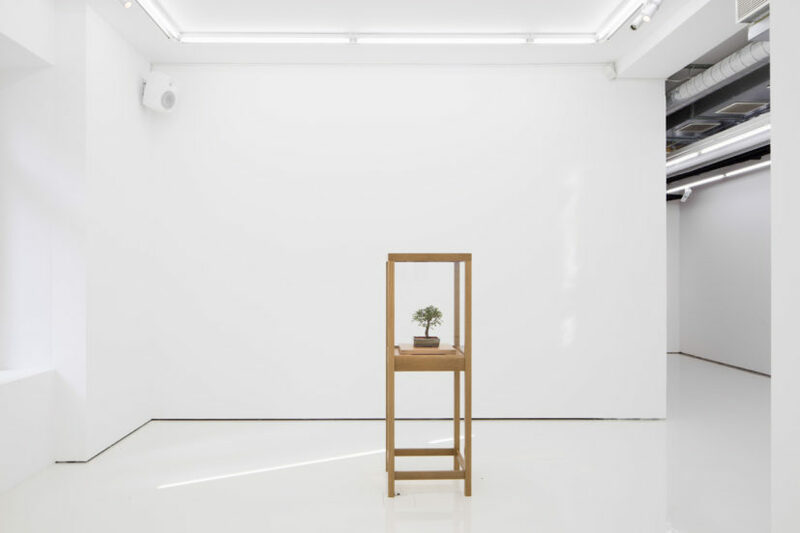 Rosenström’s upcoming shows in London in early 2018 include a sound installation at the Soho club Black’s as part of Nordic Delights and a commission in a barber shop Salon 63 curated by Galitzine. After spending the last four years in London, Rosenström is now living in Stockholm. He completed has his MFA at The Finnish Academy of Fine Arts, Helsinki in 2007 and is represented by HELSINKI CONTEMPORARY. His work has been collected by the Finnish institutions KIASMA, Contemporary Art Museum, Helsinki; EMMA, Museum of Modern Art, Espoo; Amos Anderson Art Museum, Helsinki; and Pro Artibus Foundation.